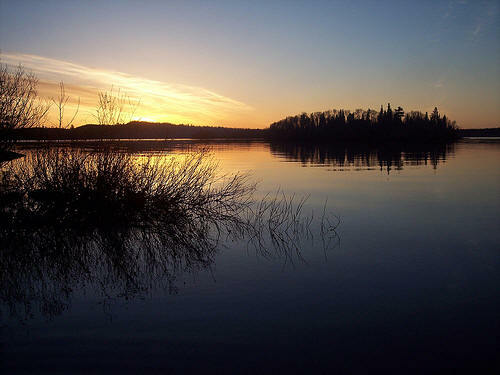 Camps, Cottages, Resorts and Lodges in the Sioux Lookout, Lac Seul Ontario Area. Beaver Problems - Check out the new Beavercone! Whether you are a first time fisher or an experienced fishing master, one desire that is shared by all, is to enjoy a peaceful day out on the waters. At times, this proves to be challenging for fishermen because certain great fishing areas are overpopulated with many tourists. In addition, if the region is known for more than just fishing, then there will be even more people in the area which can become rather stressful while trying to relax on the waters. Therefore, visiting Sioux Lookout is one of the best places to go to for a serene day out on the waters as it has not been commercialized for fishers. It is a quaint and friendly town that is more secluded and has not yet fully developed its tourism possibilities. Although Sioux Lookout is not entirely developed for tourists, this does not imply that there are not accommodations for fishermen to stay out. There are quite a few along with tackle and bait stores and fishing agencies. Sioux Lookout was given its name because the Ojibway Indians used to literally lookout for the Sioux indigenous warriors from the nearby mountains, who would come by one of the waterways in the area to attack. In the recent years, Sioux Lookout has seen a rise in the amount of trails and parks in the last few years in order to create a more appeasing and beautiful surrounding area to the lakes in the area. While in the Sioux Lookout area you will be able to enjoy one of the many beaches in the area (as long as it is summer time! ), the Umphreville Park which is a popular historic site in the area or one the dozens bodies of water for some fishing time fun. There are many local fishing guides and experts in the area who are able to recommend specific spots for the best fishing in Sioux Lookout. There is a Visitor Information Center for tourists who can pick up information year round regarding the lakes, rivers and fishing in the Sioux Lookout area. This information service center is open from 8am to 8pm everyday in July and August and from 9am to 12:30pm and 2:30 to 4pm, Monday through Friday during the winter season. You will also be able to find numerous materials on the campgrounds if you are interested in really being one with nature during your fishing excursion. Sioux Lookout is located on the shores of Pelican Lake which is fueled by the English River. However, in the area there are other popular lakes that you can visit by means of one of the public boat launches such as one of the following: Butterfly Lake, West Point Cove Boat Launch, Big Vermillion, Sturgeon River, Lac Seul and Abram Lake. Lac Seul is probably the most popular place for fishing as it has miles of picturesque scenery and great fishing year round. There are different rules depending on where you will be fishing, so you should verify this information prior to setting off for the day. Some areas permit Catch and Possession while others only permit Catch and Release. These rules can also vary depending on the species. Such fish that you will see include the largemouth bass, the smallmouth bass, the walleye, the Northern perk, the muskie and the yellow perch. Sioux Lookout also happens to be the best spot in Ontario for fly- in fishing, where you will be able to fly in directly to one of the many fishing lakes such as Little Miniss, Lynx Paw, Blackstone, Tuk Bay, Raggedwood, Miniss, Bamaji, Fawcett, Kabikwabik, Springhole, Wapesi, Seagraves and Otatakan. There are also fly- in all inclusive flying vacations such as the famous DeLesseps Lake for its northern pike and walleye fishing.